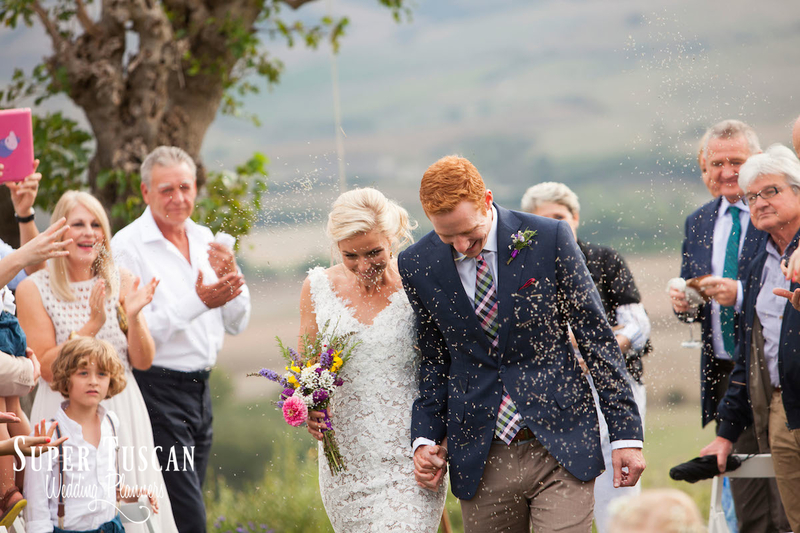 The old casale was in ferment for such an important day for Ash and Matt, our lovely couple from South Africa. 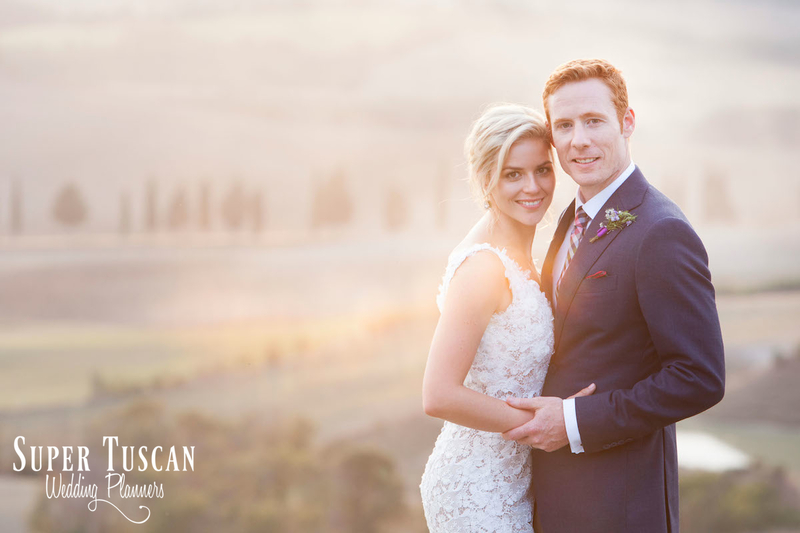 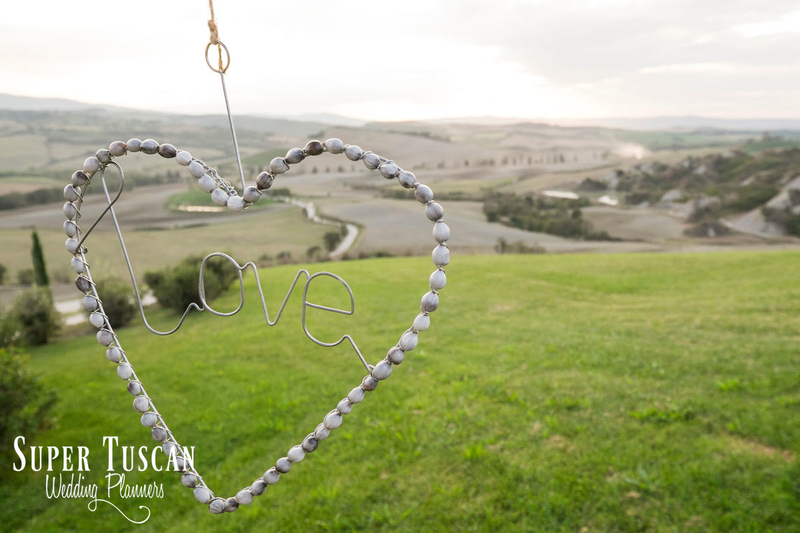 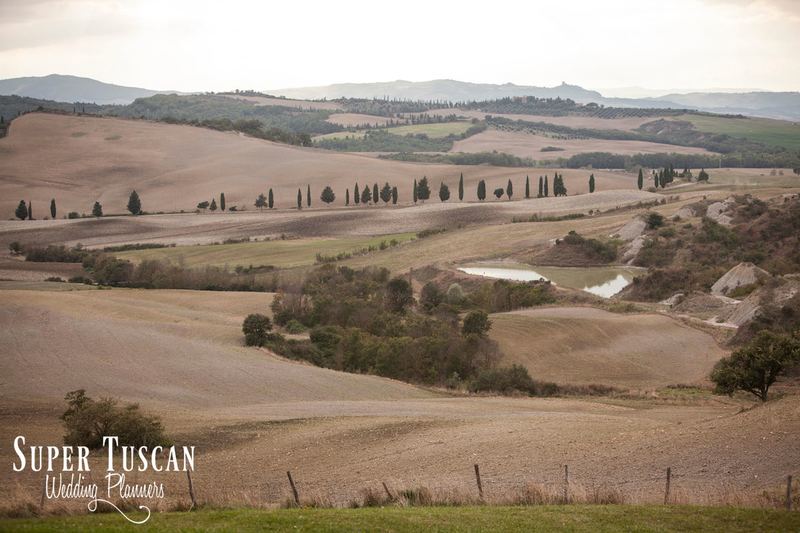 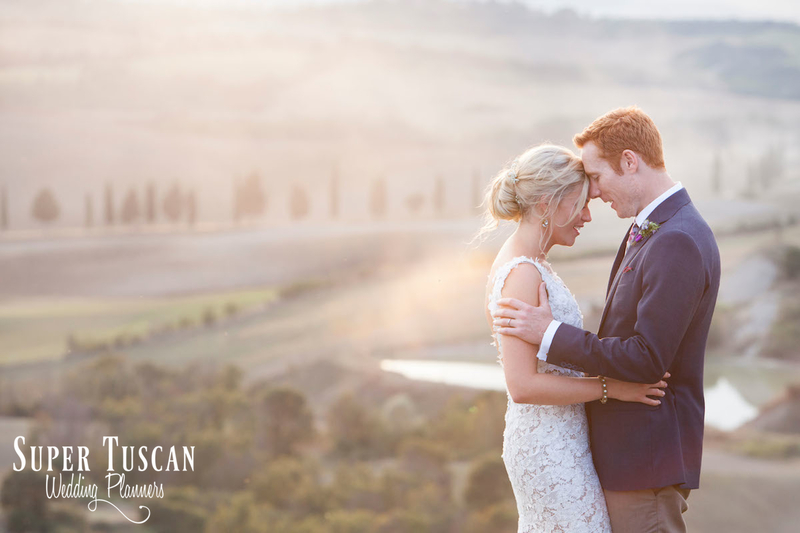 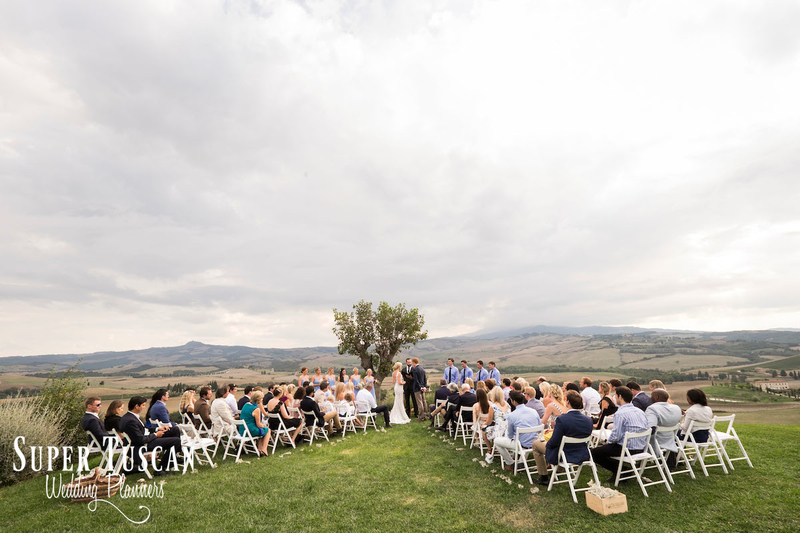 The set of the ceremony was almost ready…but the Tuscan panorama was enough to make it “ready” for this so important moment!! 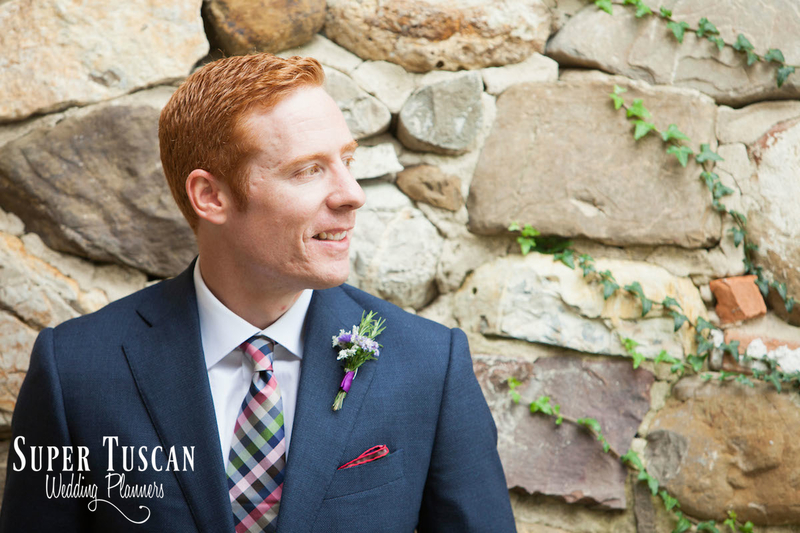 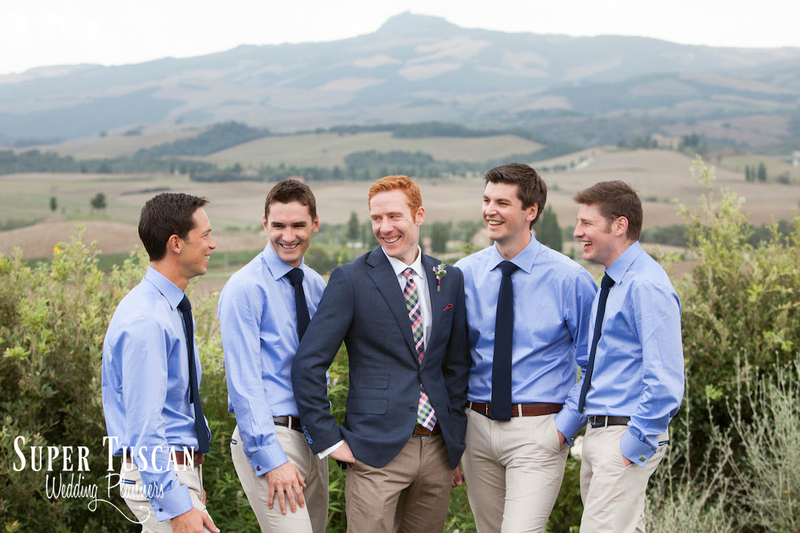 Also our groom Matt was preparing with a classy blue jacket, a colourful tie and a smart smile on his face. 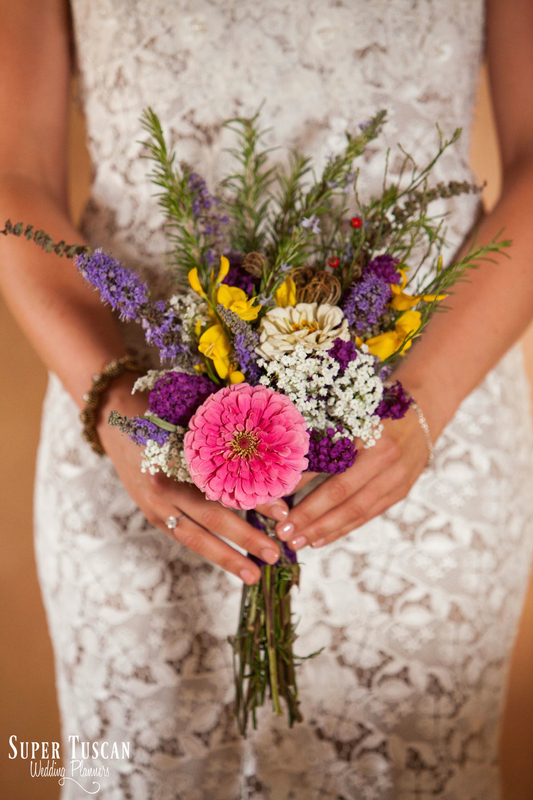 A lovely violet and pink bouquet for the bride and she was ready to walk towards her lover to the altar! 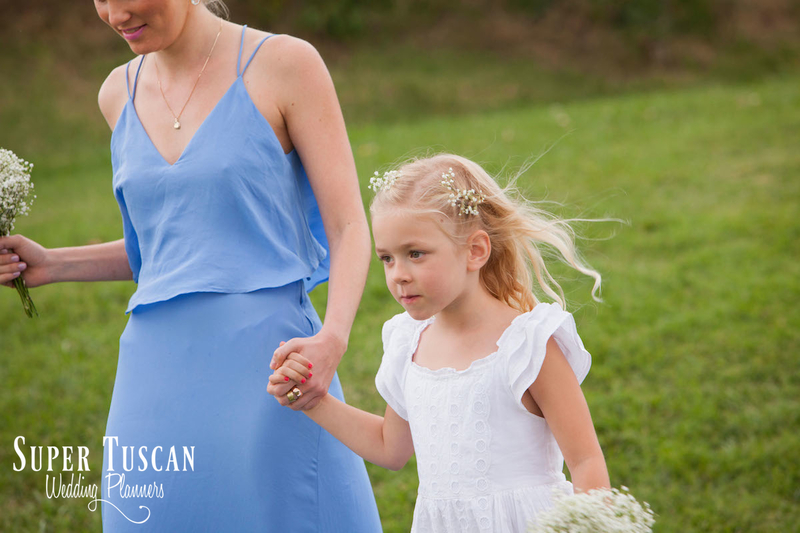 And guests come from all over the world were also waiting for her, a beautiful young blonde girl in a mermaid lovely lace white dress! 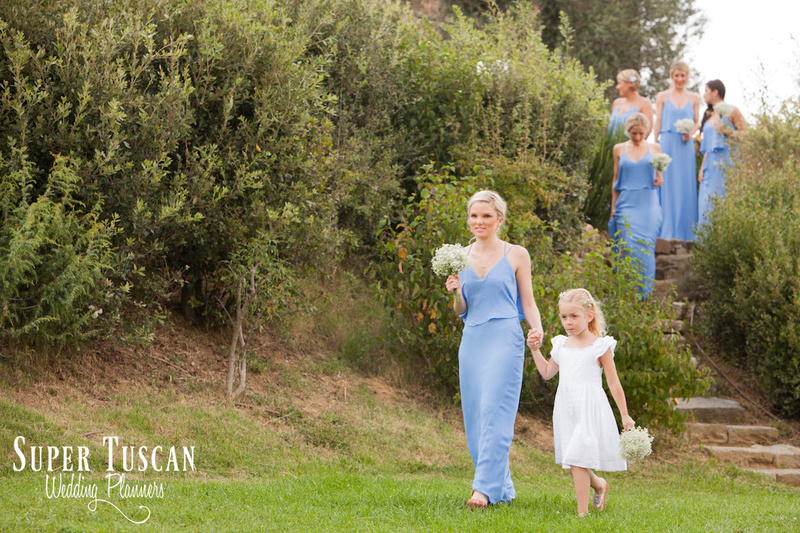 Maybe light blue was the colour of this wedding, blue as the bridesmaids’ dresses and the ushers’ shirts, but the emotions and the beauty of our bride & groom together in front of the altar made the scene complete as well as their symbolic Wedding celebrated with the realest values!! 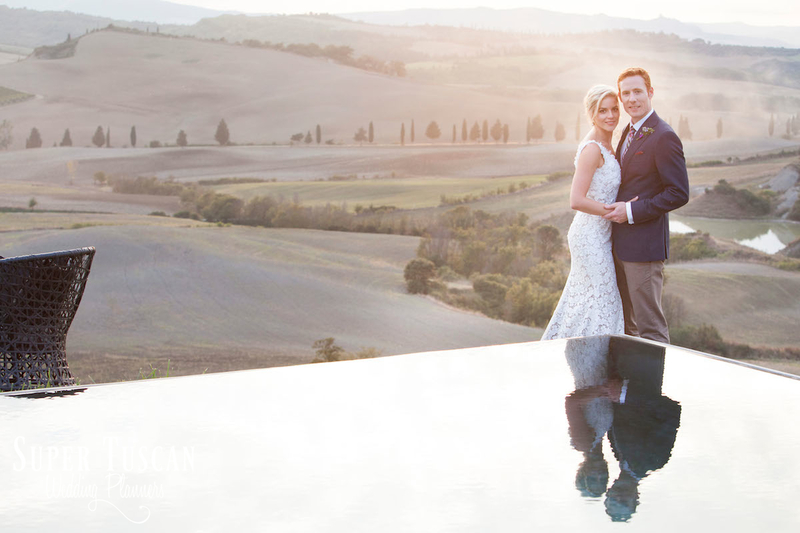 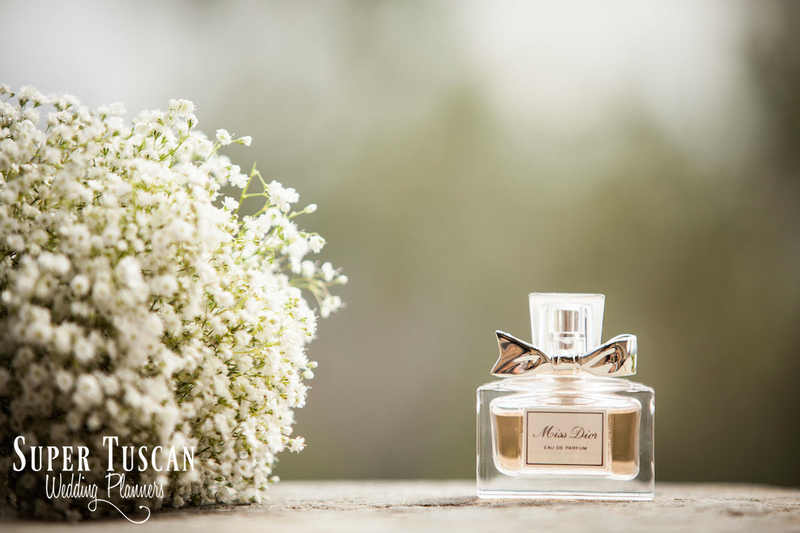 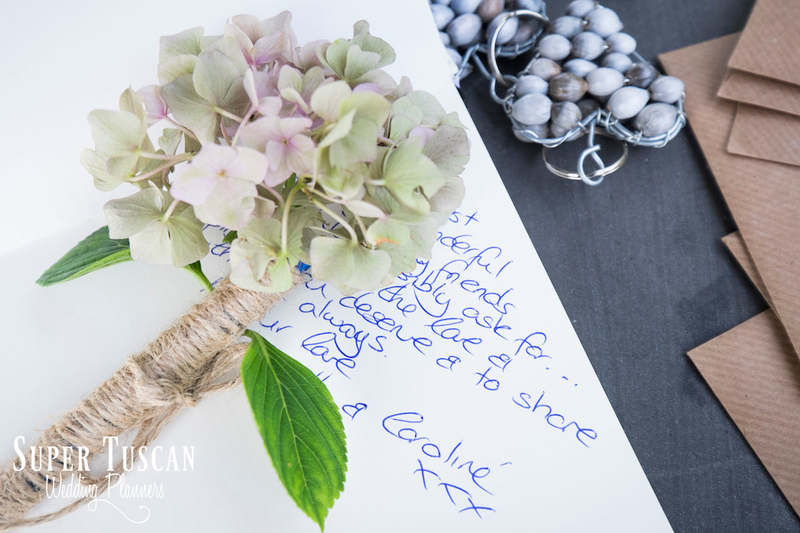 Too easy after the ceremony to relax in such a wonderful place making the spirit and the body let go with a sip of Prosecco and an entire evening of celebration for this beautiful couple! 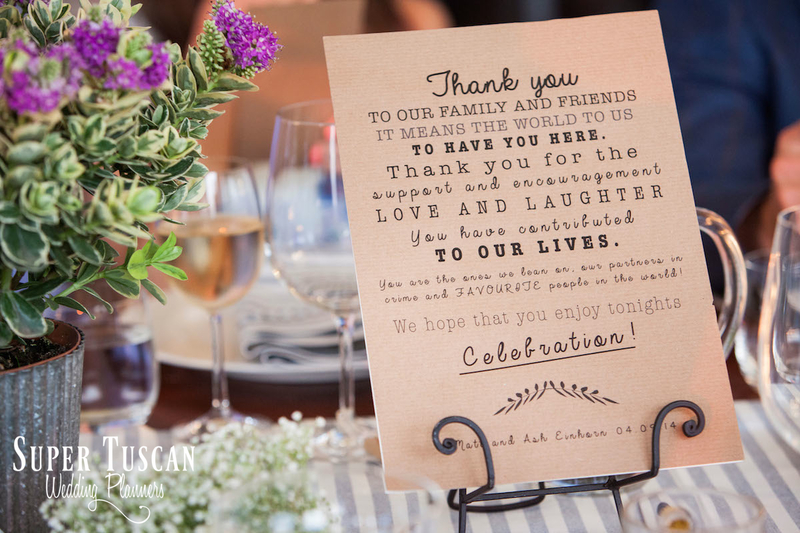 The wedding reception came next with a country and chic style! 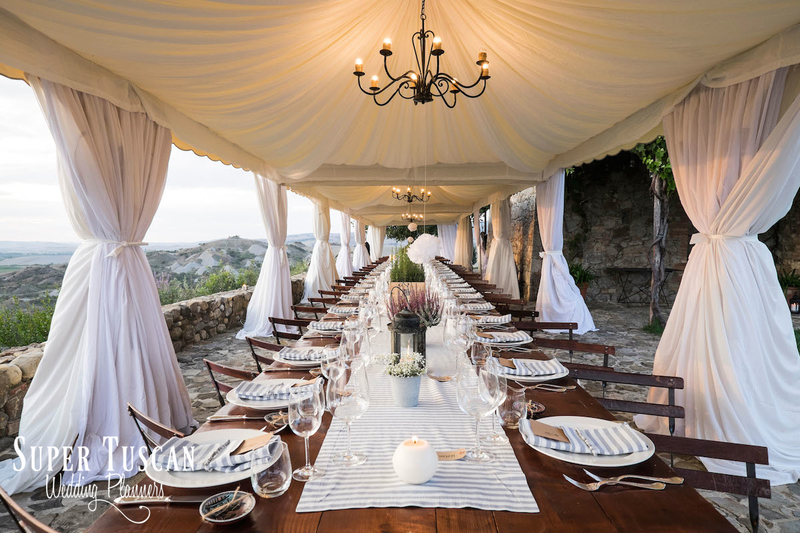 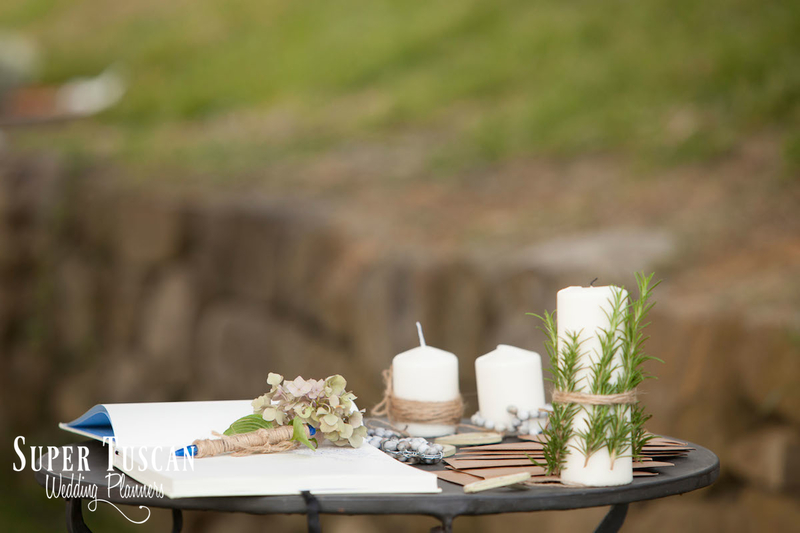 A long table, white and blue decorations and aromatic plants! 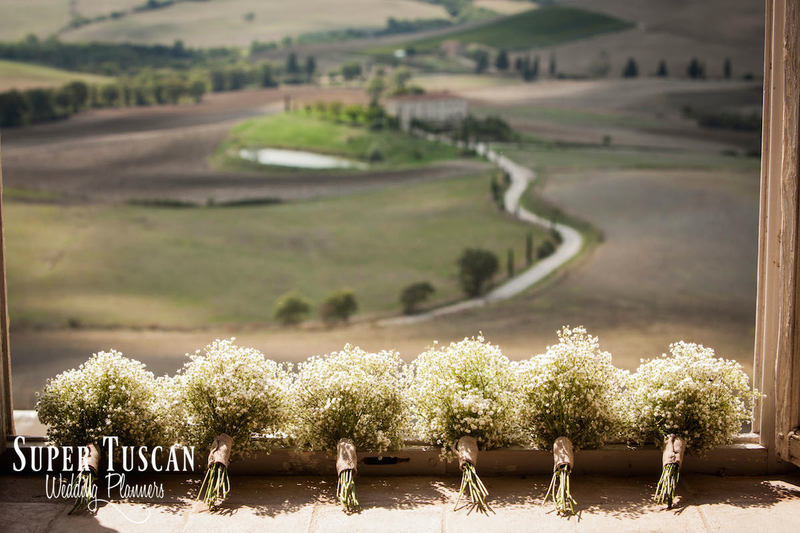 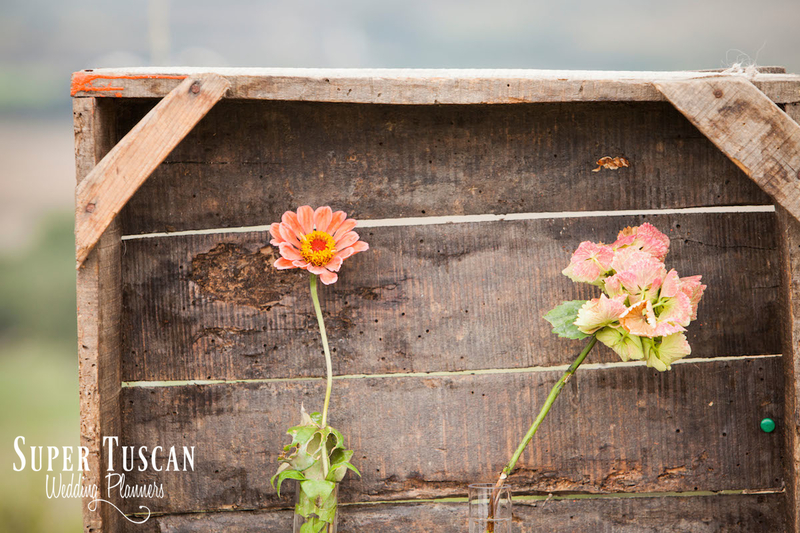 Wasn’t it enough country for a Tuscan wedding? 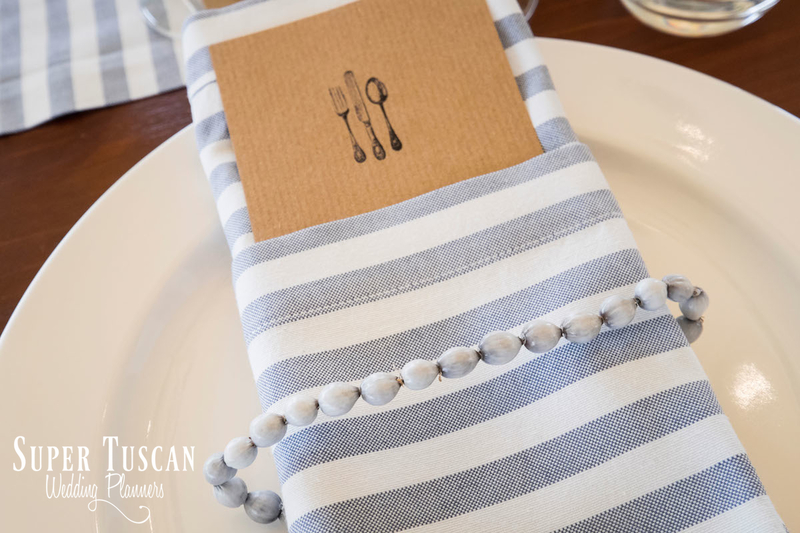 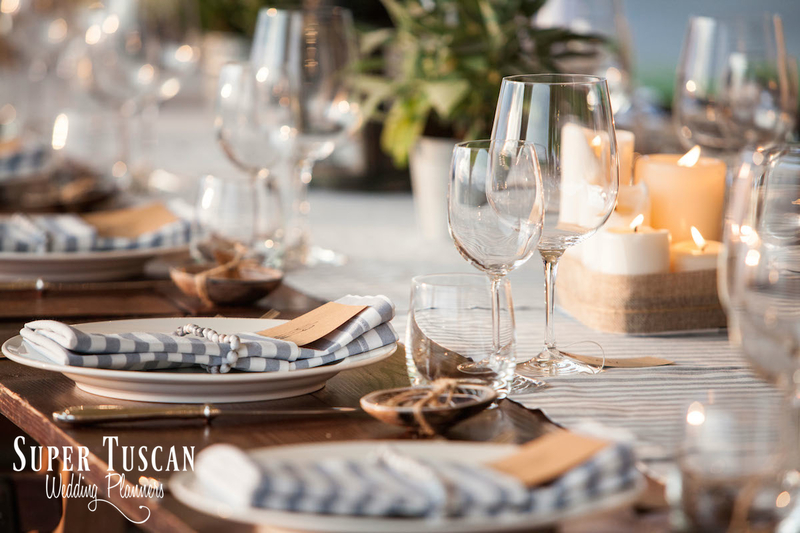 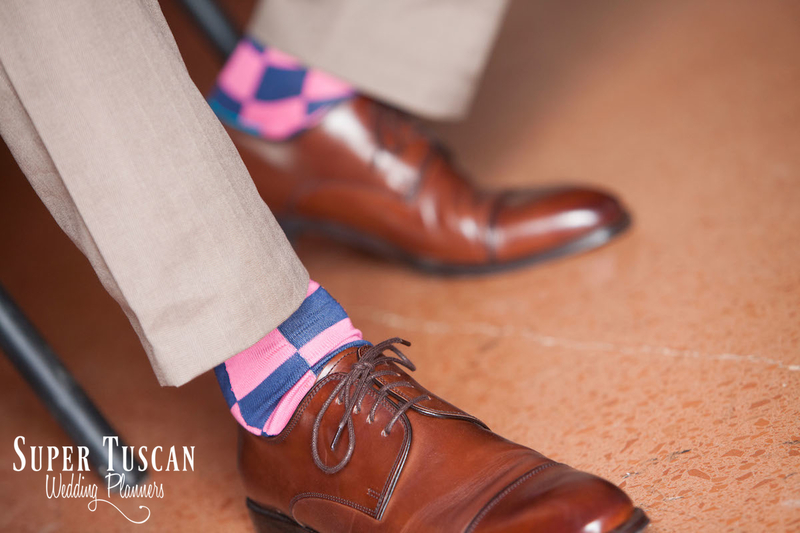 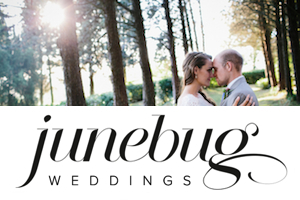 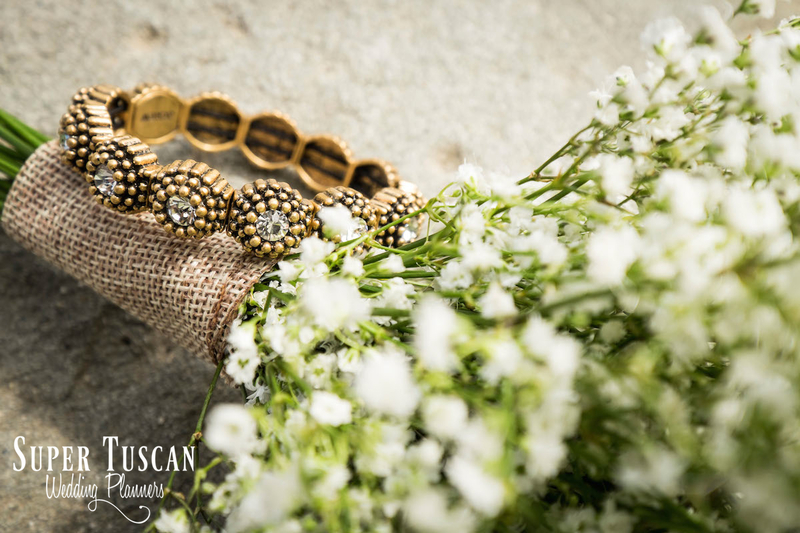 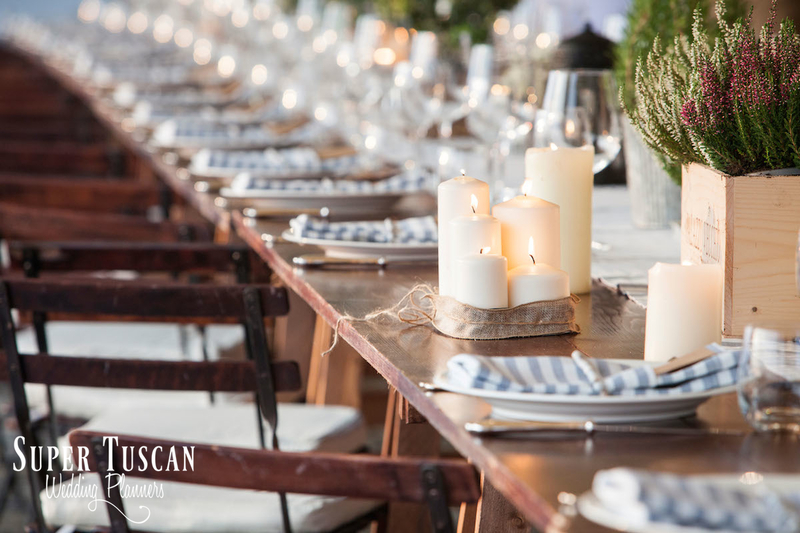 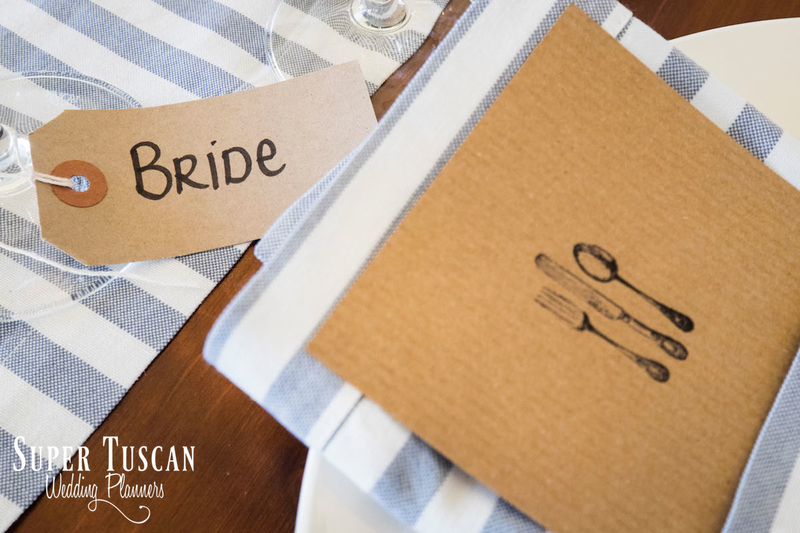 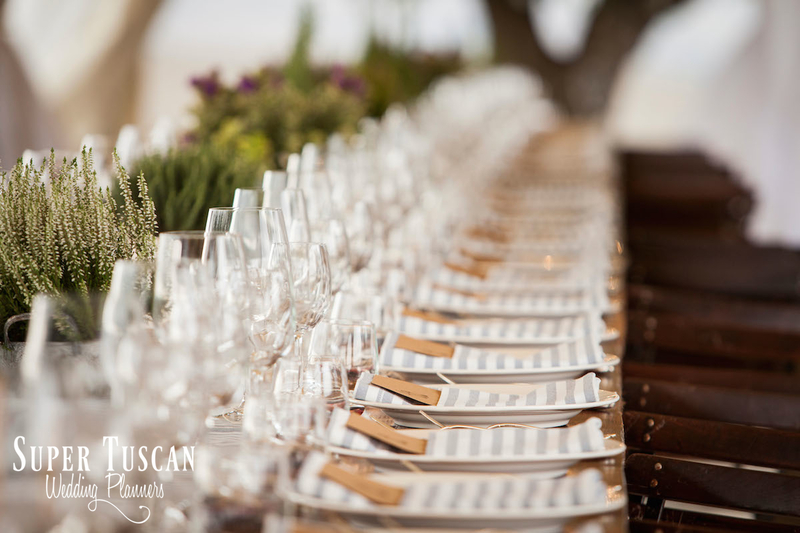 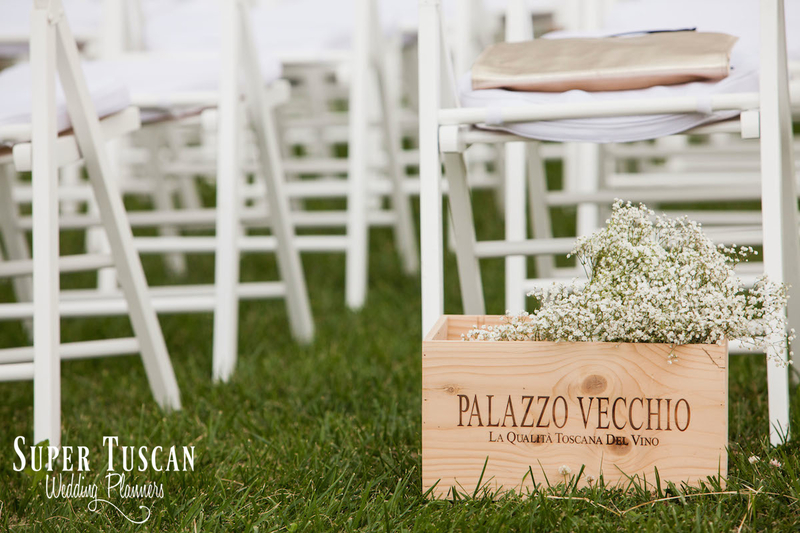 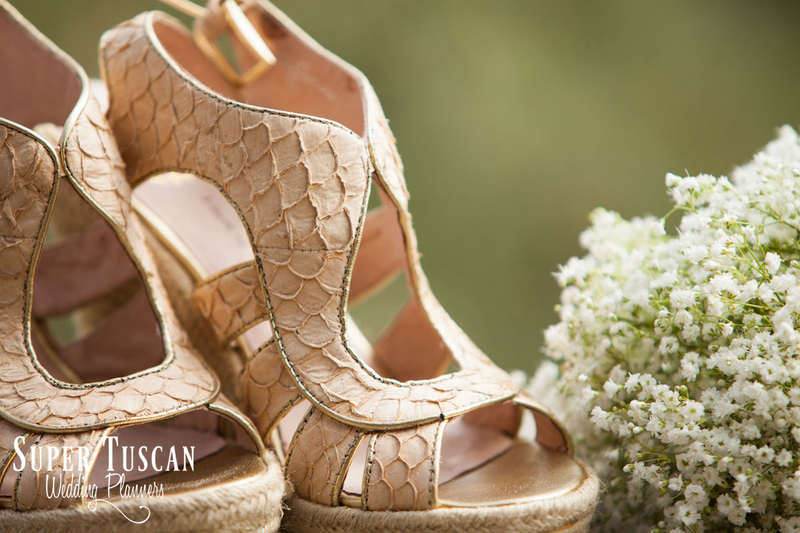 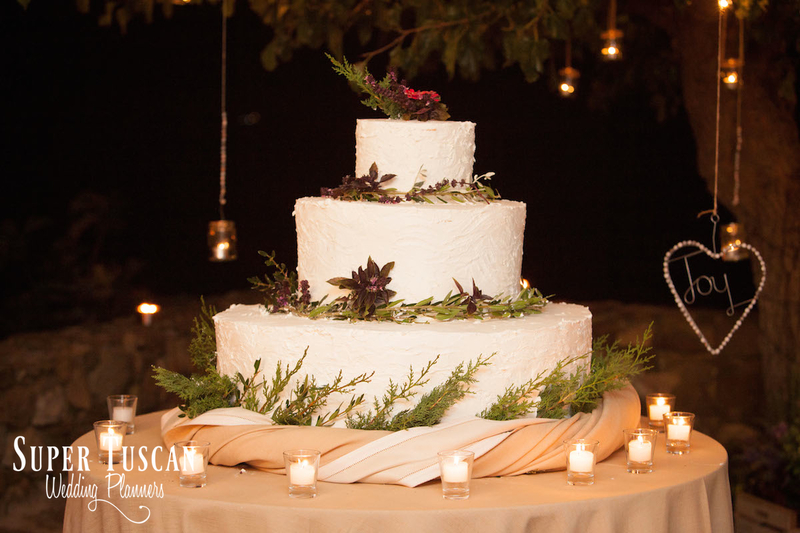 Ask Super Tuscan Wedding Planners for more info! 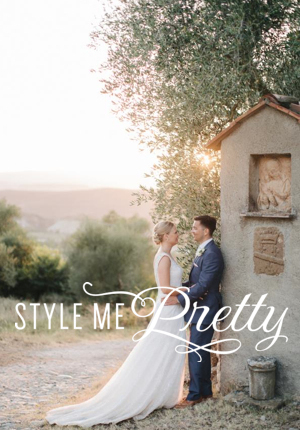 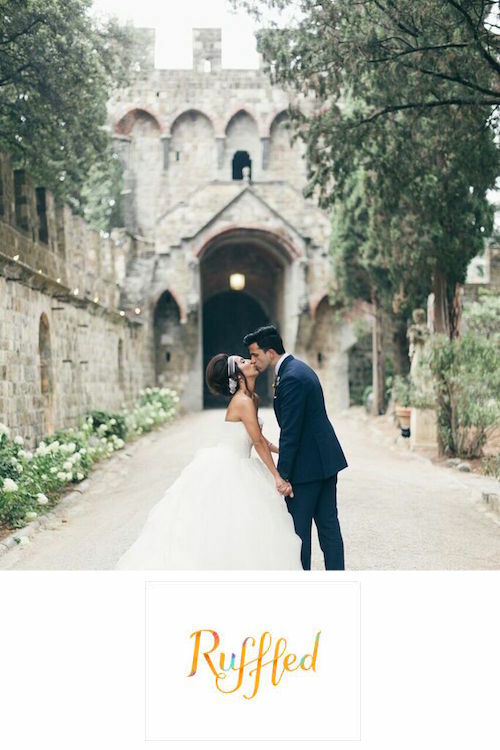 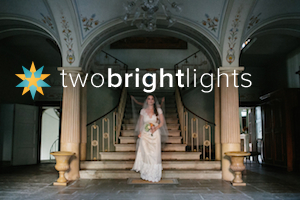 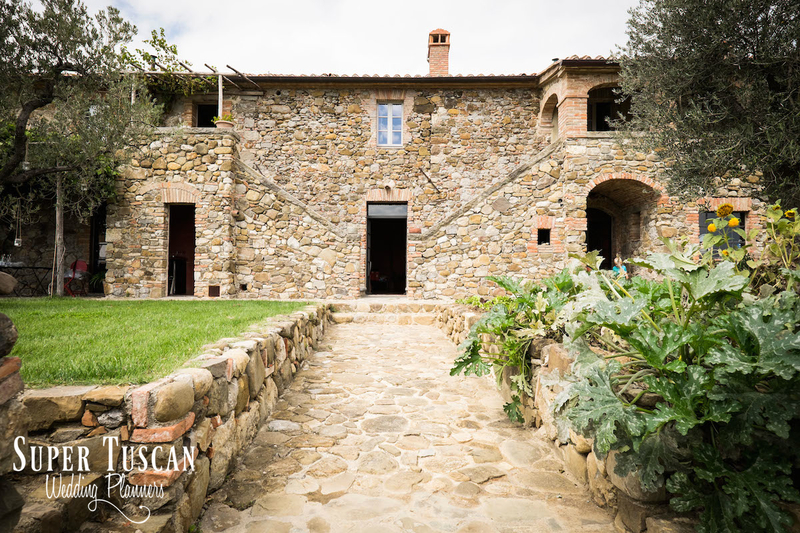 « A “politically correct” Tuscan venue for a Tuscan wedding! 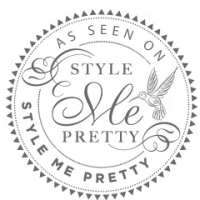 Ask David Cameron and Tony Blair!